Givenchy’s Phenomen’Eyes Mascara is a cult classic that is designed to lengthen, volumise, curl and define lashes with all-day hold. It has a patented 360 degree brush that allows you to apply the mascara with precision for the perfect, fanned out lash effect. For 2015, Givenchy have decided to re-formulate Phenomen’Eyes with a new “enhanced” formulation. The new formula now contains a triple action polymer that smoothes, coats and curls the lashes, a blend of four waxes and an amino acid coated pure pigment for intense colour. It also comes in a new, sleeker packaging. Phenomen’Eyes comes in two different types of formulation: classic and waterproof. I have the classic mascara in shade 2 - Deep Brown which I shall be reviewing and swatching for you here. The magic of the 360 degree spherical wand applicator means that there are a couple of different methods that you can use during application. Firstly, you can hold the brush horizontally and apply like a classic mascara, from the base of the lash upwards. This will provide the lashes with a curled and separated look. 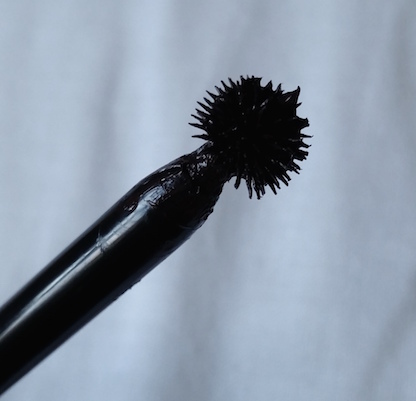 Secondly, you can hold the brush vertically to apply to add definition to even the harder to reach lashes. This results in a more intense look. As I haven’t tried the original Phenomen’Eyes mascara formulation, I cannot compare the new version to the old. I can say, however, that I am incredibly impressed with it! At first the spherical brush can appear a little confusing, but it really is simple to use. Application is accurate and you can reach every last lash, but it does take a bit longer to apply than a mascara with a bigger brush. 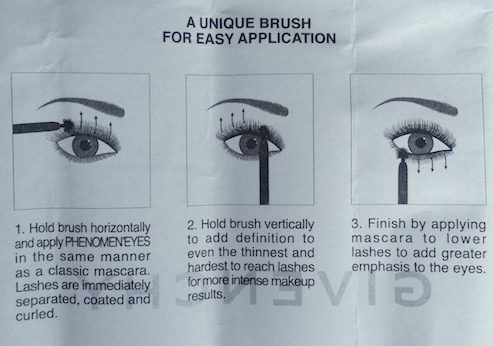 I followed the three step instructions inside the leaflet, beginning by holding the brush horizontally to apply a sweep of mascara to the lashes and then vertically to add definition. I finished off with the bottom lashes. To me, the results are really impressive. Lashes are coated well, they look longer and there is more volume, curl and definition. Phenomen'Eyes has easily shot up my list of favourite mascaras and is now right up there with Dior's Diorshow Iconic Mascara. The shade deep brown is a nice and natural shade too, but still intense enough to make a huge difference. I haven't encountered any smudging yet either which is fantastic, and removal also isn't a chore. All round then it's pretty impressive! 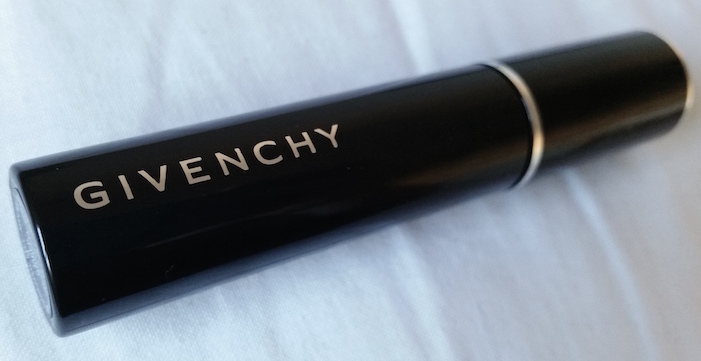 If you are on the lookout for a new mascara that provides fantastic results, I highly recommend checking out Givenchy's Phenomen'Eyes Mascara. 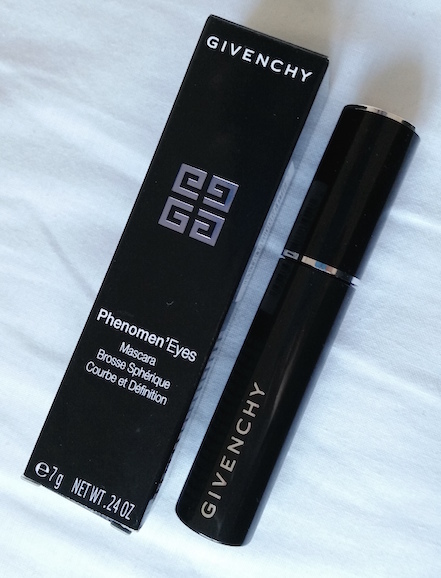 You can purchase Givenchy's Phenomen'Eyes for £23 from Escentual. What are your thoughts on Givenchy's Phenomen'Eyes? What is your favourite mascara? & It really is amazing, I'm super happy with it!